Irish Derby hero Latrobe is set to make his seasonal reappearance in the Alleged Stakes at Naas. 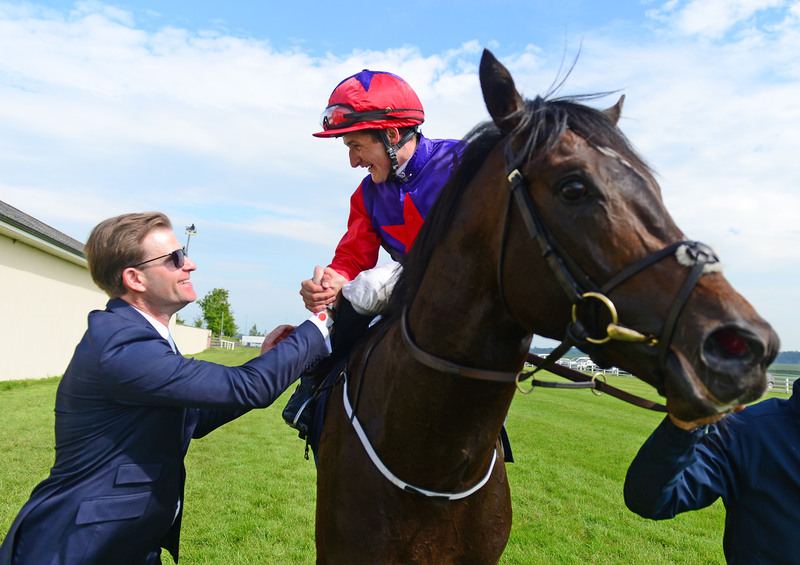 The Camelot colt provided Joseph O’Brien with his first Classic success as a trainer when claiming a narrow victory at the Curragh last summer. He went on to finish second to Flag Of Honour in the Irish St Leger before being shipped to Australia, where he was only narrowly denied in the Group One Mackinnon Stakes in November. A trip to Sha Tin for the Hong Kong Vase the following month proved a bridge too far – but speaking at a press morning at his yard, O’Brien reported Latrobe in rude health for his imminent return to action on Saturday. He said: “I’m very happy with how Latrobe has wintered. He is a huge, big horse – and I think has come on from last year. Considering plans beyond this weekend, the trainer added: “He can have the Tattersalls Gold Cup as an early-season target, and we’ll see then what Lloyd and Nick (Williams, owners) are thinking. Latrobe is one of nine entries for the Group Three Alleged Stakes. Aidan O’Brien has given the option to the aforementioned Flag Of Honour, as well as top-class filly Magical – who was last seen filling the runner-up spot behind the brilliant dual Arc heroine Enable in the Breeders’ Cup Turf. Hazapour (Dermot Weld), Mustajeer (Ger Lyons), Parabellum (Denis Hogan), Stellar Mass (Jim Bolger), Still Standing (Jessica Harrington) and Success Days (Ken Condon) are the other contenders. Group Three honours are also up for grabs in the preceding Gladness Stakes. The standard setter in this seven-furlong contest is last season’s 2,000 Guineas winner Romanised. Ken Condon’s charge struggled after his Classic triumph, but was competing at Group One level on each occasion. His potential opponents include four horses from Aidan O’Brien’s yard – including Le Brivido, who could make his debut for the yard having won the 2017 Jersey Stakes at Royal Ascot when trained in France by Andre Fabre. Other possibles include the Lyons-trained Psychedelic Funk, Weld’s pair of Imaging and Yulong Gold Fairy and Jim Bolger’s Smash Williams.